Image source: China. 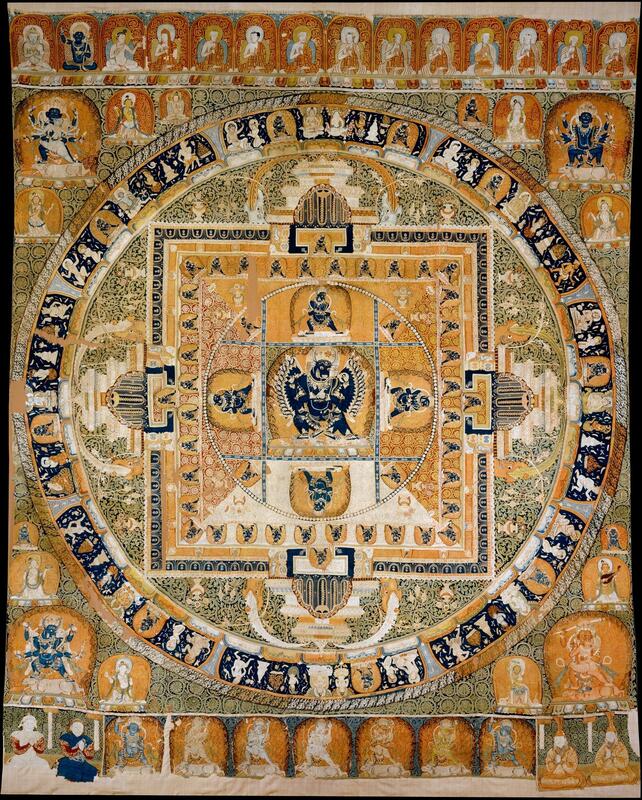 Vajrabhairava Mandala. ca. 1330-32. The Metropolitan Museum of Art. Browse by geography, then select a classification to view religious paintings, sculpture, architecture, etc. in specific countries. Keyword search terms such as Krishna, Buddha, stupa, Hindu, mosque, cathedral, and others will retrieve over 1,000 images — use these general terms in combination with others to narrow your results. Try these sample search terms to find images related to Religious Studies. Don't forget to use the search filters to narrow your results. Columbia University has shared approximately 1,800 virtual reality panoramas of important monuments of religious architecture in Europe and the Middle East. Of particular note is the strong coverage of Medieval and Renaissance churches and cathedrals in France, England, and Italy, as well as other religious spaces such as the Hagia Sophia.